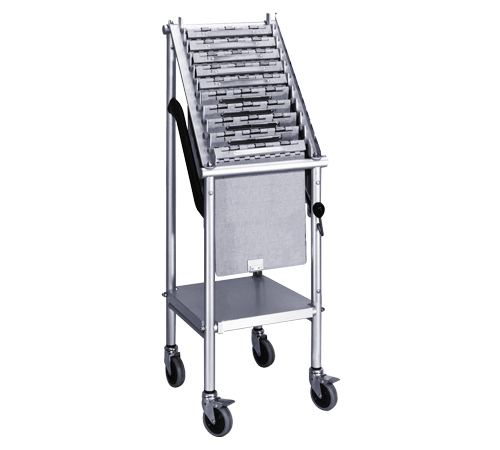 Wheeled chart carrier. Our heavy-duty mobile carriers hold up to ten (10) chartholders. 1" anodized aluminum frame. Rotating lever locks chartholders in place for noiseless movement. Dimensions: 37"H x 13"W x 13D, Weight: 15 lbs.